Recently a cell-phone monitoring firm, ZoomSafer, conducted a survey of 500 business executives. The results are in, and one notable finding is that nearly one-third (32%) of companies have knowledge or evidence of on-the-job automobile accidents resulting from employees using cell phones while driving. Distracted driving is a factor in 25% of police reported crashes, according to a report by Nationwide Insurance. Driving while using a cell phone actually reduces the amount of brain activity associated with driving by 37%, according to a Carnegie Mellon study. Drivers that use cell phones are four times as likely to get into crashes serious enough to injure themselves (Insurance Institute for Highway Safety). 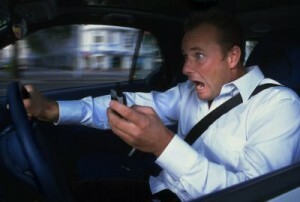 The number one source of driver inattention is use of a wireless device (Virginia Tech). Distraction from cell phone use while driving—hand held or hands free—extends the time it takes a driver to react as much as having a blood alcohol concentration of .08 percent—the legal limit, according to a report by the University of Utah. It’s clear that simply replacing a hand-held phone with a hands-free device is not going to solve the problem of diverting a driver’s attention when it belongs on the road and other vehicles. 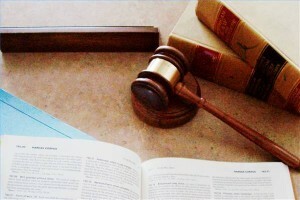 When a business supplies employees with cell phones, the liability of possible litigation shifts to the company. Nearly eight percent of companies surveyed by ZoomSafer have faced litigation resulting from employee cell phone use while driving. For companies with more than 5,000 drivers, the statistic is 37%. Only 62% of the companies surveyed have implemented a written cell phone use policy. Surprisingly, utilities/telecommunications/cable companies were least likely to have one—and least likely to enforce it. Most (62%) of policy enforcement is reportedly done “post incident.” Even more surprising is that 25% of respondents declined to answer this question. Survey answers regarding a company’s culture toward employee driving were also interesting, with nearly one-third of respondents reporting some degree of apathy regarding safe driving, monitoring employee driving, and concern about employee use of mobile phones. It seems that companies are telling employees not to use cell phones while driving, but are not doing much to enforce the rule or change employee behavior. To reduce potential liability from damages caused by employee cell phone driving, a clear and well-communicated policy, as well as strict enforcement, is absolutely necessary. The risk of damage to a company’s reputation and finances are enormous—as is the possibility for loss of life. Are Employers Holding Off on Hiring the Perfect Employee? Ahead of tomorrow’s Bureau of Labor Statistics April jobs report, private staffing firm ADP released their National Employment Report for April, which indicates that U.S employment continues to improve—but slowly. Employers added 179,000 jobs in April, bringing total employment to a level 1.35% above April 2010. While April’s figure was down from 207,000 added jobs in March, and lower than the increase of 198,000 predicted by the Bloomberg survey, it appears that the bottom has been reached, and the trend is toward recovery. Small to mid-sized service providers are growing the most jobs, adding 138,000 in April, while goods-producing jobs remain stagnant with just 41,000 additional jobs. But are employers themselves the reason for slow job recovery? Are they holding off on filling open positions? Some studies seem to indicate exactly that. Employers are not cutting jobs at the same rates they did in 2010, but they’re not in any hurry to fill job openings. According to the Conference Board, a research organization, the number of job openings advertised online has grown to 4.2 million, continuing a trend that began in the spring of 2009. 4.2 million jobs waiting to be filled, and only 179,000 jobs added in April? 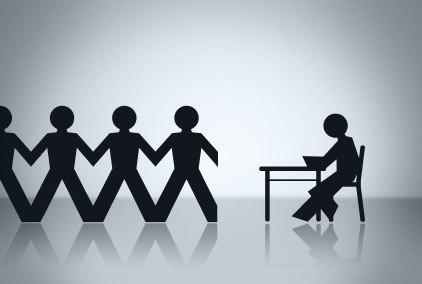 The problem seems to be a hesitation on the part of employers to commit to hiring. Recruiters say it takes longer to find qualified candidates, and even longer to get them hired. Hiring cycles that used to last two months are now stretching into six or even eight months. One recruiter said that hiring managers are not only taking longer to hire; they are holding out for better candidates. Companies are bringing in between five and six candidates for second-round interviews—twice as many as in 2007. And once they identify the perfect hire, they start over. The thinking is that if there is one great candidate, there must be 10 more even better. The frustrations for job seekers must be incredible. Plenty of companies have good jobs open and ready to fill, but they are taking 180 days instead of the 60 to make a commitment. They want each hire to be the perfect hire. And when there are plenty of candidates to choose from, what’s the hurry?